The twenty-five papers in this volume arise from a conference jointly organised by the British Archaeological Association and the Museu Nacional d’Art de Catalunya in Barcelona. They explore the making of art and architecture in Latin Europe and the Mediterranean between c. 1000 and c. 1250, with a particular focus on questions of patronage, design and instrumentality. 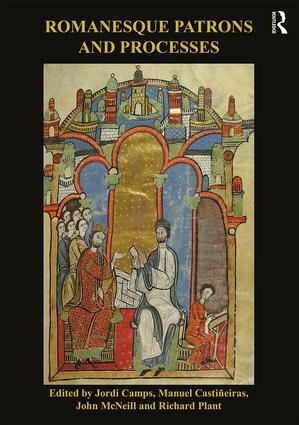 No previous studies of patterns of artistic production during the Romanesque period rival the breadth of coverage encompassed by this volume – both in terms of geographical origin and media, and in terms of historical approach. Topics range from case studies on Santiago de Compostela, the Armenian Cathedral in Jerusalem and the Winchester Bible to reflections on textuality and donor literacy, the culture of abbatial patronage at Saint-Michel de Cuxa and the re-invention of slab relief sculpture around 1100. The volume also includes papers that attempt to recover the procedures that coloured interaction between artists and patrons – a serious theme in a collection that opens with ‘Function, condition and process in eleventh-century Anglo-Norman church architecture’ and ends with a consideration of ‘The death of the patron’.